Opinion: The series started off really well but felt very lazy by the end and predictable. Still an easy read being completed by volume 6 and it felt wrapped up properly. Graphics are really really cute and I wanted the series to match the graphics hype. 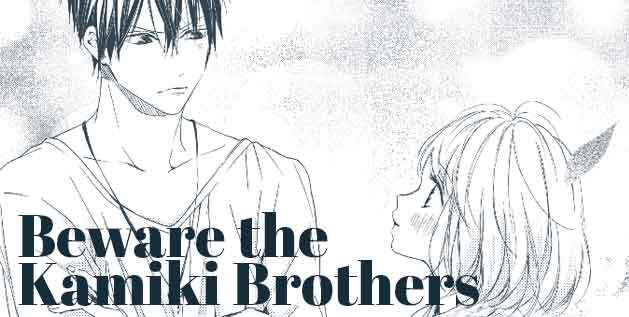 It did a great job balancing girly shoujo graphics and sharper images for the guys. The fashion was super cute as well. Let me start with a warning that the main female is a massive cry baby. Absolutely useless human and very unaware of a lot of things. The main guy is very interesting and sweet but quickly gets swept up in the heroine for seemingly no good reason. While the series heavily implies a love triangle between the brothers it was very much never a thing. The series falls into the predictable category around the second volume. It was an ok series but if I could go back and unbuy it I might. It just didn’t wow me.